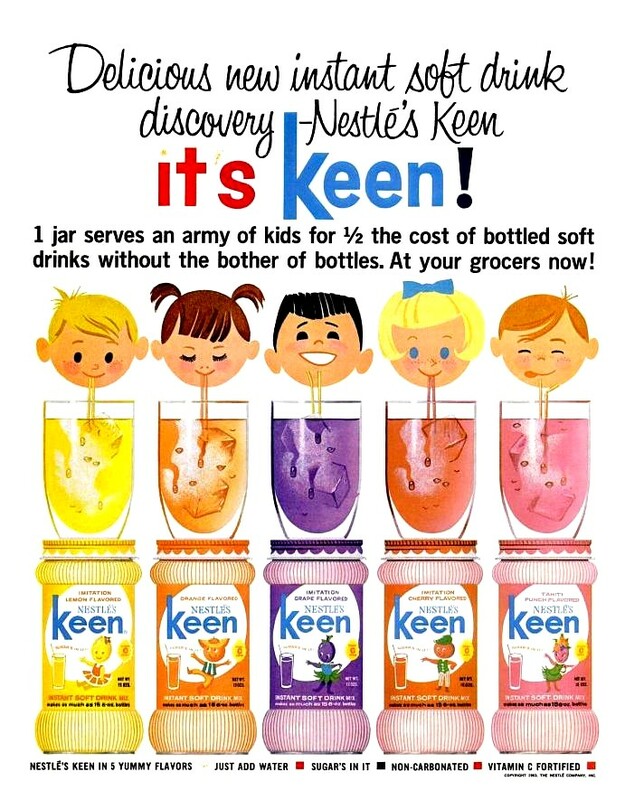 Pretty much love everything about this vintage Nestle’s Keen ad from 1964. The bright fresh colors, the adorable kids illustrations, even the perhaps-not-so-advisable but I’m-doing-it-anyway-cause-it-works use of the three different fonts. It’s a happy ad. Previous Post Previous post:She’s going the distance small fry style….